H2O Rx's Blacoh Pulsation Dampeners, Surge Suppressors and Pump Inlet Stabilisers protect pumps, pipes and sensitive instruments from damage. These are hydraulic shock absorbers. Hydraulic shock is caused by rapid acceleration or deceleration of the liquid. For more information, click on the boxes below! The metering of fluids is critical in maintaining control of quality and material usage. A SENTRY PULSATION DAMPENER installed at the discharge of a reciprocating pump eliminates the pulsating flow, allowing the meter to respond to a steady flow, insuring its accuracy, protection and longevity. Quick closing valves create dangerous pressure surges during operation. When fluid velocity is stopped, it is transformed into pressure energy, causing a pressure spike up to six times greater than operating pressure - valves are destroyed, piping is ruptured, and sensitive instrumentation is damaged. A SENTRY SURGE SUPPRESSOR, placed upstream as close to the valve as possible, will absorb dangerous pressure spikes. Filter screens are susceptible to breakdown due to fatigue and "stretching" from pulsations. Pulsating fluids will loosen and eventually tear apart filter media. In addition, pulsating pressure spikes will enlarge the flow holes in the media and allow larger than acceptable particles to pass. A SENTRY PULSATION DAMPENER placed at the pump discharge will create a steady pressure and constant flow against the filter media to ensure longer media life and particle size integrity. At pump start up, the fluid in a pipeline must be accelerated from zero to operating velocity. When the initial pump surge comes into contact with the static line fluid, pressure spike is created. The force of this "water hammer" will rupture pipes, break pipe fittings and destroy instrumentation. A SENTRY SURGE SUPPRESSOR installed at the pump discharge will absorb the initial fluid surge, then discharge the accumulated fluid as the pipeline achieves a steady flow. Suction stabilization is critical to a pump's efficiency and in preventing cavitation. Cavitation will result in premature failure of pump components including seals, packing, plungers and diaphragms. A SENTRY SUCTION STABILIZER installed at the pump inlet will control the pressure fluctuations and acceleration loss which lead to cavitation. With a suction stabilizer, the pump will always have a full volume stroke. Coating, spraying and curtain coating applications benefit with the addition of a SENTRY PULSATION DAMPENER placed directly at the discharge of a reciprocating pump. A pulsating pump creates an uneven fluid flow to the coating or spraying process. The uneven application of material can result in rejected product and overuse of coating materials, both resulting in lost profits. Back surge occurs when a pump is required to pump vertically or over a rise. At pump shut down, the fluid reverses directions and gains velocity as it travels back toward the pump. As it hits the pump or the pump's check valve, the fluid is stopped and a dangerous pressure spike is created. A SENTRY SURGE SUPPRESSOR placed at the pump's discharge or check valve absorbs the pressure shock, saving the system from damage. Thermal expansion of fluids in a closed system can result in dangerously high pressures, which lead to ruptured pipes and fittings, destroyed in-line instrumentation, burst pressure relief valves and contaminated surroundings. A SENTRY THERMAL EXPANSION CHAMBER placed in line will accumulate the expanded fluid, reducing the increase in pressure. Download the above table as a flyer - Click Here. Hybrid Valve - A combination pulsation dampener and back pressure valve. Revolution Series - Plastic dampeners without fasteners. Aluminium Dampeners - Large capacity. XP Series - High Pressure Dampeners. CIP - "Clean in Place" Food Service Dampeners. Sanitary Series - For clean and hygenic applications. Inlet Stabilisers - For the suction side of your pump. Support Plate - To simplify mounting of pulsation dampeners on your skid. Each application requires a different sizing formula. For your ease of reference we have provided a metric units sizing spreadsheet. A spreadsheet to size dampeners can be downloaded here! Do Pulsation Dampeners comply with AS1210 - Pressure vessels? "This standard is not intended to apply to"........"and other plant under pressure excluded by AS/NZS1200." "Hydraulic actuated equipment, including inert gas type 'dampers' in which the product of pressure (MPa) an gas volume (L) does not exceed 30 MPa.L." So the answer is that the majority of pulsation dampeners do not have to comply with AS1210 as they are excluded from the scope. Do Pulsation Dampeners comply with ASME VIII? In most cases pulsations dampeners do not need to comply with ASME VIII due to the size and scope. Blacoh does however design to the intent of the ASME VIII standard, even though it is not required. Download the explanation from Blacoh Engineering here. What is the best way to support a Blacoh pulsation dampener? Smaller dampeners can be supported by the piping without difficulty. Larger dampeners should be supported to prevent loads on the piping. H2O Rx can provide a support plate to simplify this. Download the datasheet for the support plate here. Can I get a CAD model of a dampener for my skid layouts? Yes! Just ask H2O Rx! Operation and Maintenance manuals are shipped with each dampener. If you need electronic copies, email us with the model number so that we can supply the correct document. 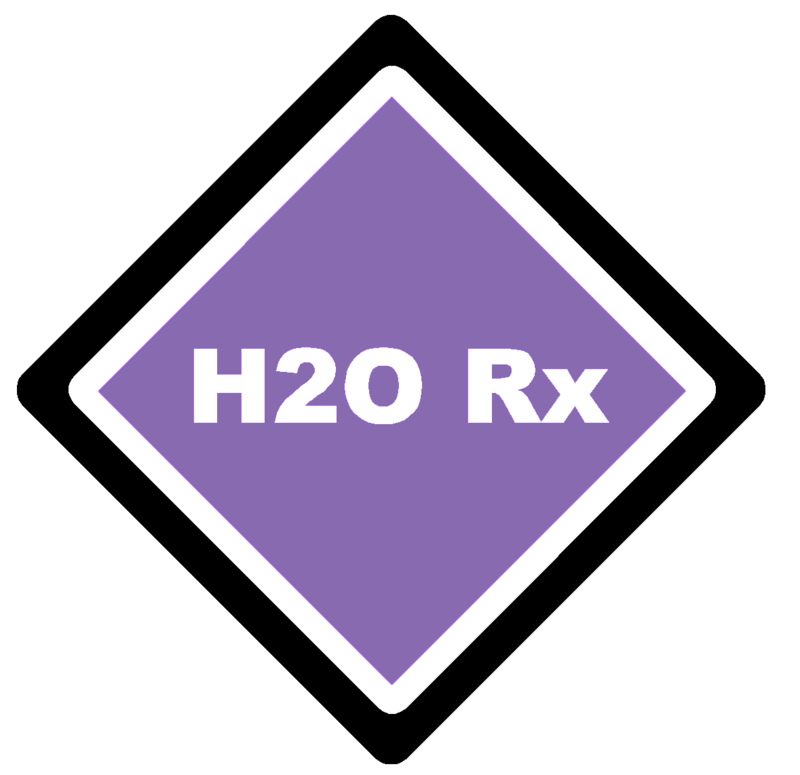 H2O Rx can even provide you with dimensioned drawings if you require. Air Control Options - Explained!